Installing SimpleHelp on Windows couldn't be easier, simply download the executable and run it. SimpleHelp will automatically install the SimpleHelp server as a Windows service. You do not need to manually start or stop the service, but can instead use the SimpleHelp Server service to control whether the server is running. Once complete, the installer open the server's welcome page in your browser. From here you can download the customer support application, the technician application or the remote access service. Click the link to download and install the technician app. Your technician app will automatically install and log you in as the SimpleHelpAdmin power user. You can then start using and configuring your SimpleHelp server. If your server is installed, but you are not able to access it from another computer or from another network then this indicates a firewall or routing problem. Our public accessibility guide will help you resolve these issues. The problem may be that your Windows server is preventing incoming connections on the ports that you have configured SimpleHelp to use. 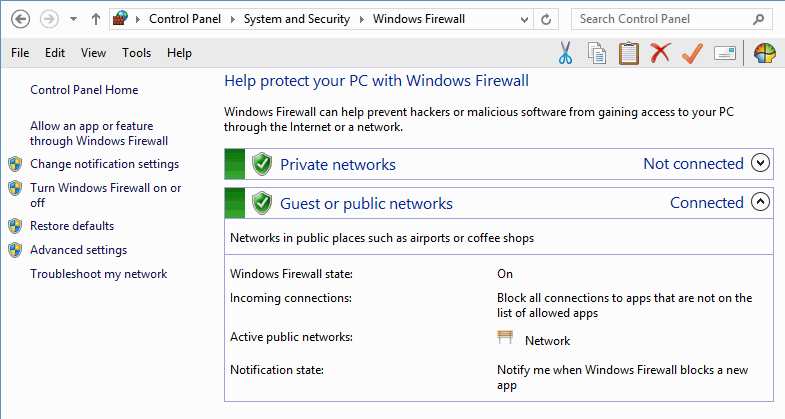 Start by launching the Windows Firewall configuration in Control Panel. Choose the Advanced Settings option on the left. Next choose Allow Connection and ensure that the rule is allowed in all situations. Finally, enter in a meaningful name for this rule. Press Finish to create the rule. 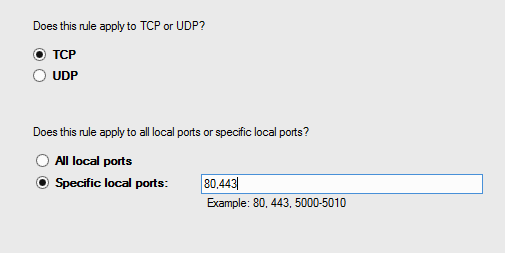 Next, repeat the steps to create a new rule but instead of choosing TCP choose UDP. 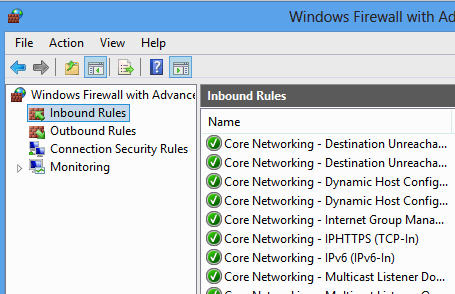 Windows Firewall will now have two rules, one for TCP and one for UDP, that allow incoming connections on the ports that SimpleHelp is listening on.